Are renewables essential to reach carbon neutrality? The electricity sector, which involves generation, transmission and distribution of electricity, is one of the major contributors of greenhouse gases (GHGs) that cause climate change. Carbon dioxide is one of the major GHGs that is emitted in this sector, but other GHGs such as methane (CH4) and nitrous oxide (N2O) are also emitted, but in smaller quantities. To mitigate the effects of climate change, the carbon neutrality concept has been emerging and it refers to achieving net zero carbon emissions that involves reducing the carbon released with an equivalent amount off-set or buying enough carbon credits to fill the gap. Individuals or businesses mainly apply this concept to reduce their carbon footprint and help mitigate or reduce the effects of climate change. Renewables are one way of reducing your carbon footprint, as they are carbon neutral technologies and many organizations including Google, Facebook, Microsoft and others are switching to renewable sources of energy to power their facilities or operations. Buying renewable energy certificates (RECs) from green power markets. Installation of renewable energy systems in your home or facility. What sources of renewable energy are feasible for your specific case? That is, what resource is available and that can be harnessed for your case? is it solar, wind, geothermal or a hybrid of renewable energy systems? What are the costs and return on investment (ROI) for your renewable energy resource? What financing options are available and what option will be cost-effective? Where to get renewable energy providers or materials for running your system? If you want to determine your solar energy potential today, this blog has identified online solar marketplaces that can help you to do this; by just typing your address in their system. 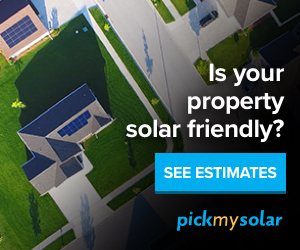 You can also find solar installers and compare solar quotes while checking your potential savings and financing options available to you today. To get started, check with EnergySage and determine your solar energy potential using a solar panel cost calculator.